Hello there, Gameologiteers, and welcome to our weekly thread for the discussion of weekend gaming plans and recent gaming glories. I’ve been spending a lot of time with the new 3DS rerelease of Dragon Quest VIII: Journey Of The Cursed King, which launches today, and I expect it’ll chew up plenty more of my weekend. The original version, released for the PlayStation 2 in 2005, was sort of a big deal: It was the series’ first fully 3-D game; it marked the first collaboration between Square Enix and the developers at Level-5; it was the first time the Dragon Quest name was used outside Japan (the series was previously known as Dragon Warrior here in the states); and it was the first in the series to be released in Europe. Clearly, this was Square’s big push to finally net Dragon Quest a bigger audience outside its home country (the North American release even included a demo of Final Fantasy XII in the box), and the result was one of the best Japanese-style RPGs ever made. The cel-shaded graphics masterfully brought Akira Toriyama’s whimsical character designs into three dimensions, the translation is world class and delivered with pleasantly goofy voice acting, and the fully orchestrated soundtrack is an aural wonder. The 3DS remake retains much of that charm—the biggest drawback is the downgraded soundtrack, but in exchange, the new version eliminates random battles and lets you speed up animations during fights—and I’ve been loving it just as much as I did the first time. Its release is perfect timing, too. There’s nothing like curling up on the couch with a good JRPG on a lazy winter day. Will I ever finish it? I hope so. Maybe by June or something. 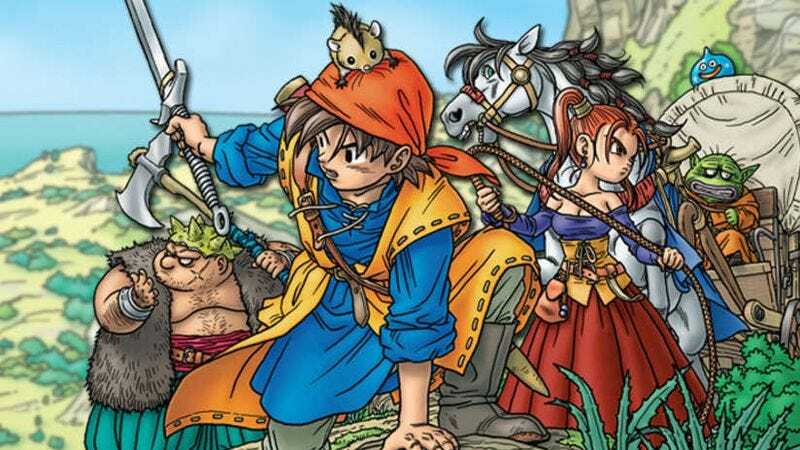 Purchase Dragon Quest VIII: Journey Of The Cursed King here, which helps support The A.V. Club.